Gynaecologist in Kharghar: Permanent family planning operation by laparoscopy is becoming very popular these days. 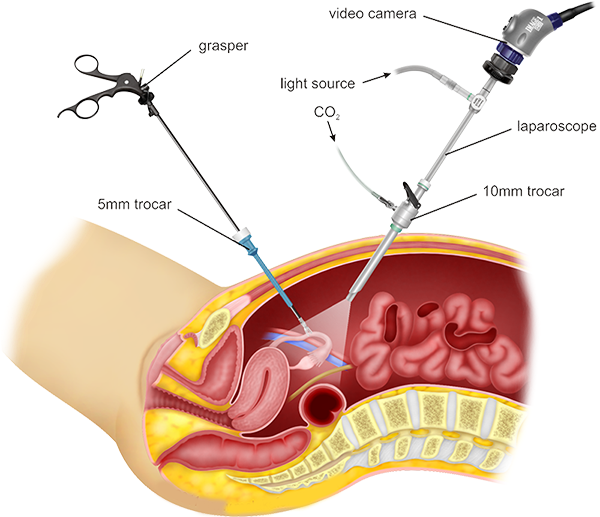 Permanent family planning operation by laparoscopy is becoming very popular these days. Permanent family planning operation which in medical language is known as 'Tubal Ligation ' by laparoscopy is becoming very popular these days. Laparoscopic surgeries are keyhole surgeries. -For family planning operation, generally two holes are made on the abdomen. -One hole is below naval. Through this hole light source is introduced in the abdomen to light up the operation area. - Through other hole the instrument which is introduced works as grasper and band applicator. - One by one, each fallopian tube is picked and it's lumen is occluded by applying strong sialistic bands. Total duration of hospital stay for the patient is one to two days. Patient is mobilized and given oral food on the same day of operation. My Gynaec World through its affiliate hospitals and team of doctors provide the services of Laparoscopic Tubal Ligation. We are committed for quality care and treat every patient with consideration.